Despite the unprepossessing name that Cornish Hevva Cake is sometimes given, this lightly fruited bake is not particularly ‘heavy’. It is, however, absolutely delicious. The bake falls somewhere between a sweet scone and a light fruit cake. 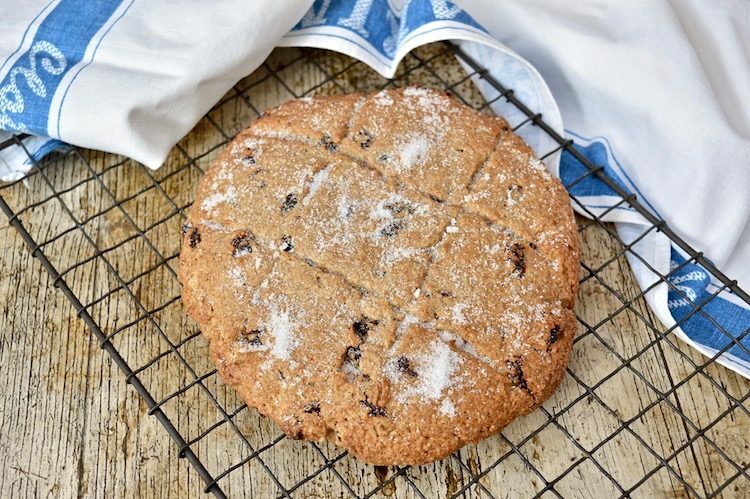 As with many traditional bakes, Tesen Hevva (its Cornish name) is very easy to make. Cornish asparagus is up and out and I’m at the ready with my knife and fork and pan of boiling water. Not quite, but I couldn’t resist buying a bunch when I passed our local greengrocer yesterday. Apart from grilling them and eating them for breakfast with scrambled egg on toast, I thought a fresh and simple Cornish asparagus risotto with peas and wild garlic pesto would be just the thing. No Christmas dinner is complete for me without a dish of steaming braised red cabbage. 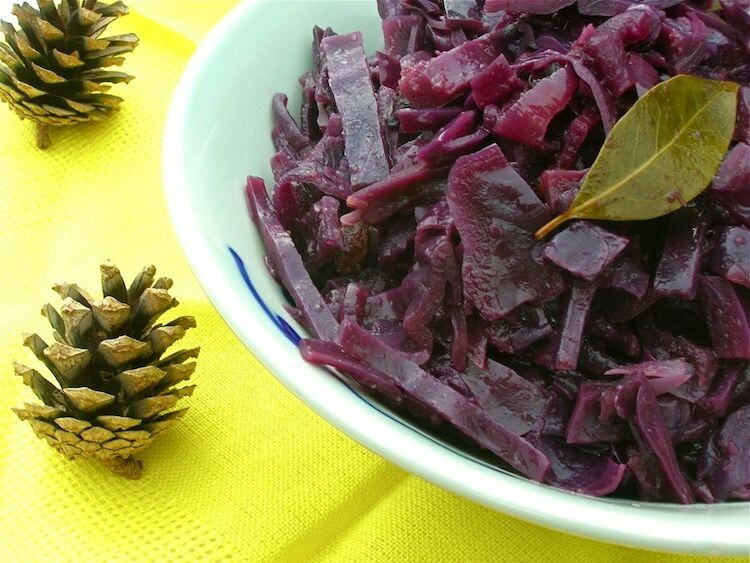 Slow cook it with an apple and some spices and the humble red cabbage is transformed into a dish fit for a king. This recipe for squash chilli chard feta pasties makes for perfect autumnal comfort food. 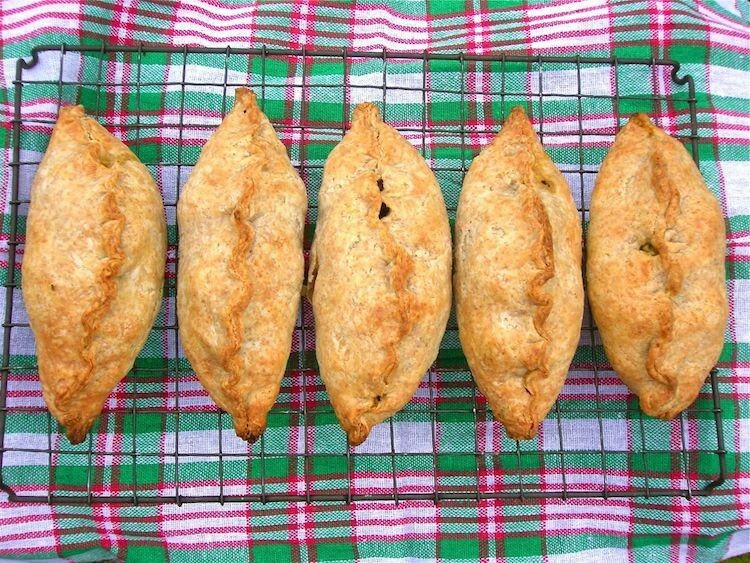 It’s a vegetarian take on a traditional Cornish pasty filled with colourful seasonal veg and a bit of spice to keep out the chill. The pastry is really easy to prepare and makes them a joy to put together. Once upon a time, many years ago, back in the 1960s in fact, or possibly the 1970s, reports are a bit vague, the Mayor stopped handing out the Liskeard Bun. This was an annual event when the newly invested mayor of Liskeard would hand out buns wrapped in brown paper bags to the local children. What a lovely tradition. 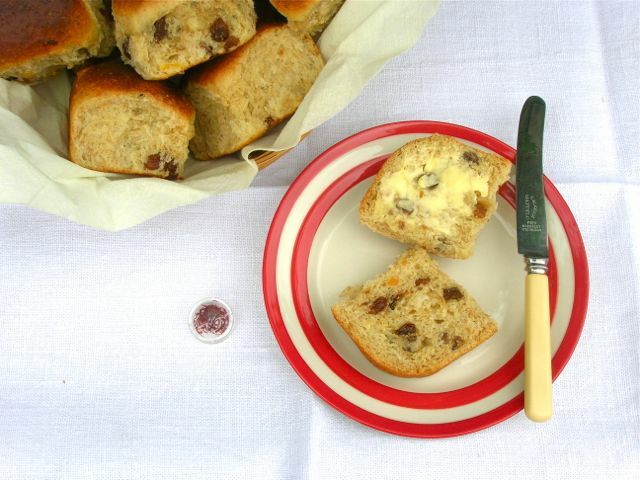 Read on to find out about the Great Cornish Bake Off and how it was rediscovered along with a vegan recipe for Cornish saffron buns. Quinoa has been one of our staples for many years now, but we rarely have it in salad form. 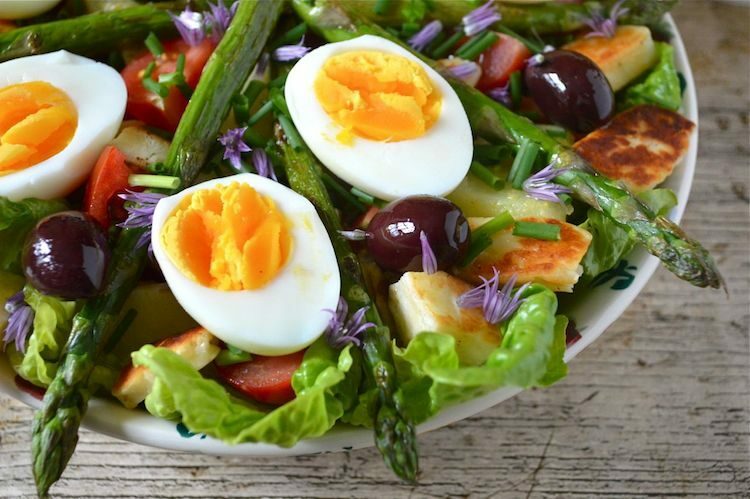 With the weather warming up (well we have had the odd day), thoughts turn to summer salads. What could be nicer than sitting outside on a summer’s day and eating a delicious salad for lunch or supper? Cauliflower is one of those underrated vegetables that has found a new lease of life in recent years. It’s now acclaimed as a wonder vegetable as it acts as a low carbohydrate alternative to rice or couscous. 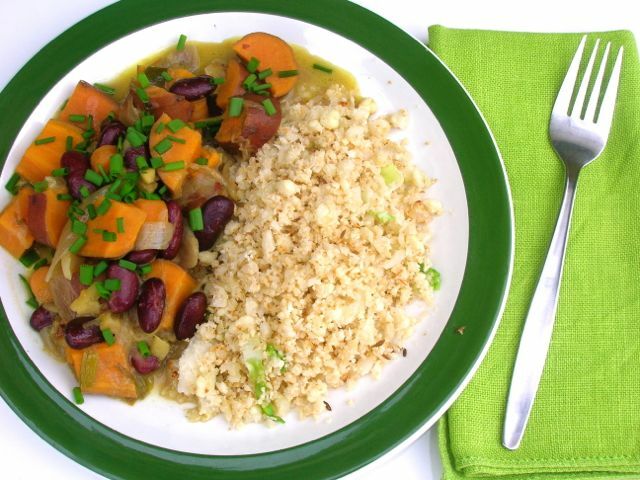 Cauliflower rice, I’ve found, works particularly well with this simple but delicious vegetarian jerk sweet potato curry. 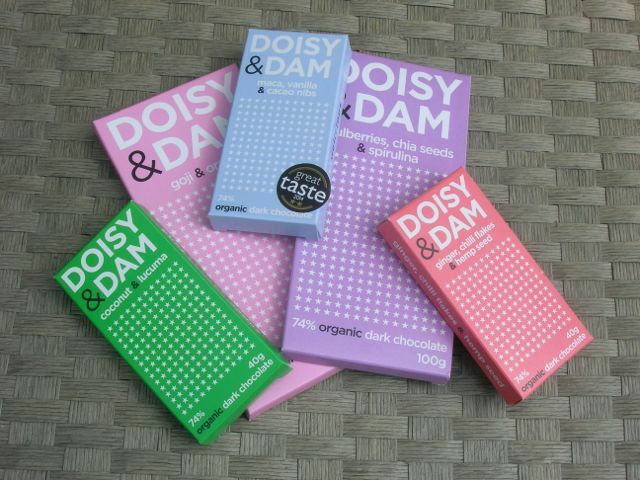 Every so often I like to bring you a taster of some of the chocolate that has passed through Tin and Thyme HQ. You can find plenty of additional chocolate review posts if you fancy seeing a few more unusual and artisan confections.